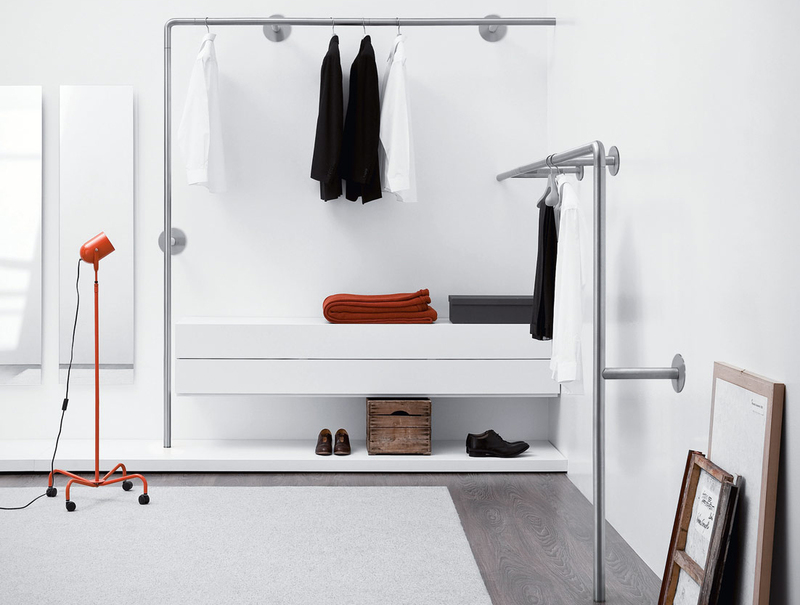 The Snake wardrobe system is the ideal hanging storage solution for any small space, as well as being cost effective solutions for fashion retail stores. 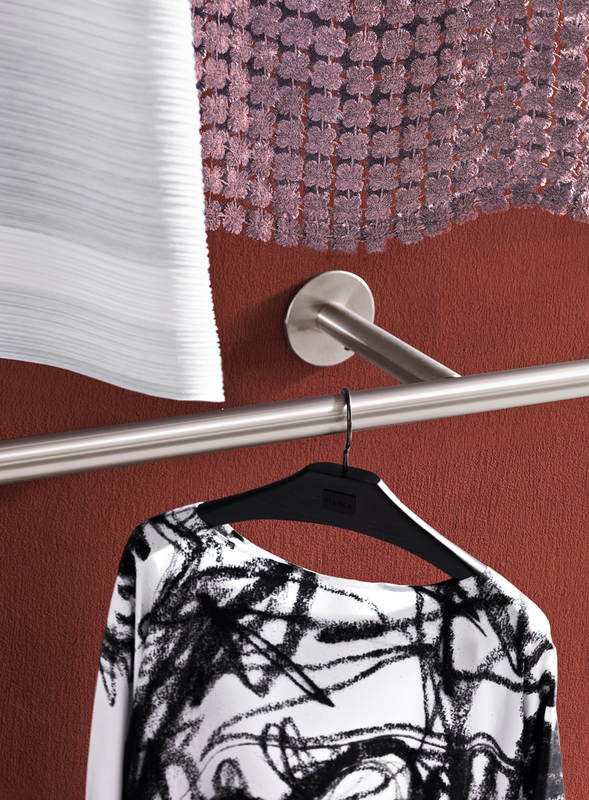 There are endless different configurations with the metal hanging rails. 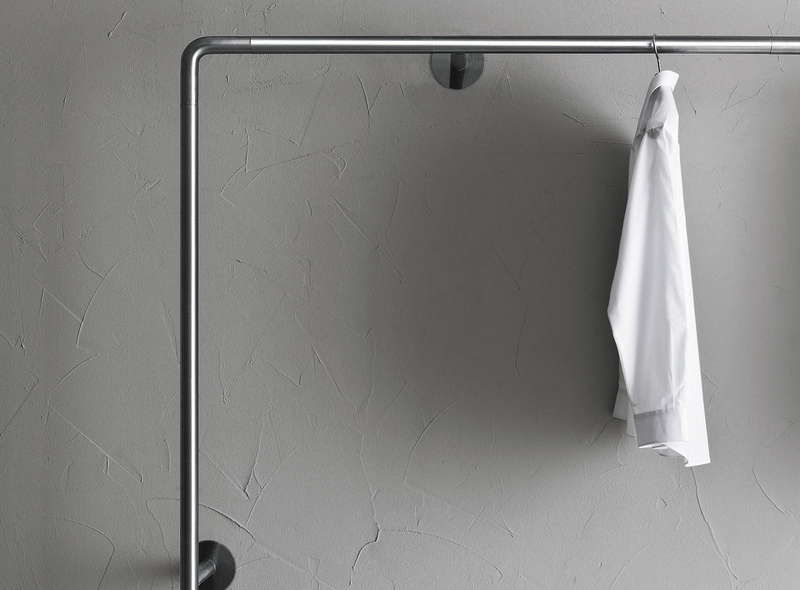 The Snake rails are made from brushed steel and are available in a selection of sizes, which can be placed vertically or horizontally against the wall to create the hanging configuration you need.